These are just some of the comments I used to hear on a regular basis because of my acne. Some of these came from people who were close to me – people who should have been more concerned about how their remarks would affect me. The chocolate comment was from a stranger though who thought that everyone who has acne probably sits around all day eating chocolate while the truth in my case was that for some strange reason I hate chocolates and always have. Imagine being 20 and people saying something like this to you. As a woman, this can completely shatter your self esteem and that is exactly what it did to me. 20s is an age when you want to look your best but here I was – fighting a problem that everyone said would clear up as I enter my twenties. Unfortunately, not only did not my acne go away during my twenties, it got worse as I was about to enter my 30’s. 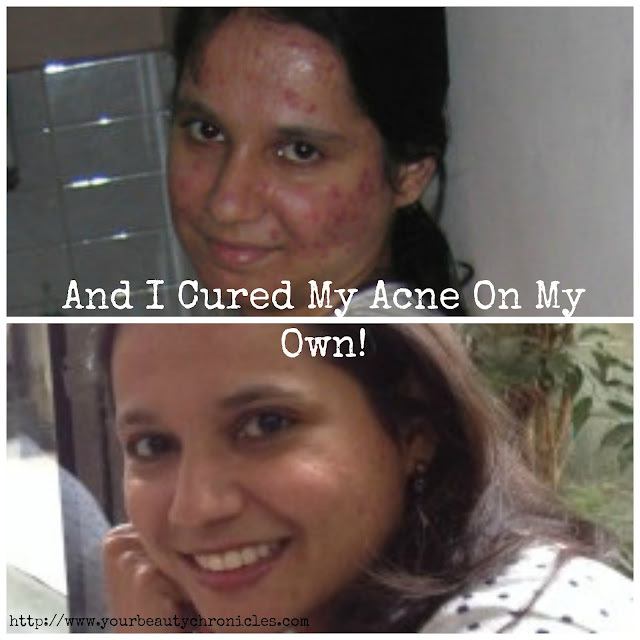 I got married in late twenties and 6 months into my marriage, I was struck with an extremely severe case of acne. There was not one patch of clear skin on my face. I took to staying at home with the windows closed, so that no one could see me. What should have been the happiest time in my life – being a newly wed – turned out to be one of the darkest times of my life. My husband was very sweet and tried to cheer me up and he often told me that I was beautiful but I still continued to sulk. I was scared to even go out with him as people might stare at me and wonder what someone like him was doing with me. All I used to think was how ugly and disgusting I looked to other people. Dermatologists were of no help at all. Every one of them would give me exactly the same treatment – antibiotics and topical ointments – in spite of me telling them that it was not working. Not one of them ever changed the treatment or made any improvements to my skin. The antibiotics made me physically sick and the ointments left my skin dry, red and itchy. My acne continued in my 30’s and more so after I had my son. One day, frustrated after visiting yet another dermatologist, I decided that enough was enough and that I was going to cure my acne on my own. I had no idea what was causing it so I decided to look into my diet and lifestyle to see what I could change. After much research, after hours and days on the Internet, I knew that it was probably something in my diet that was making me break out. 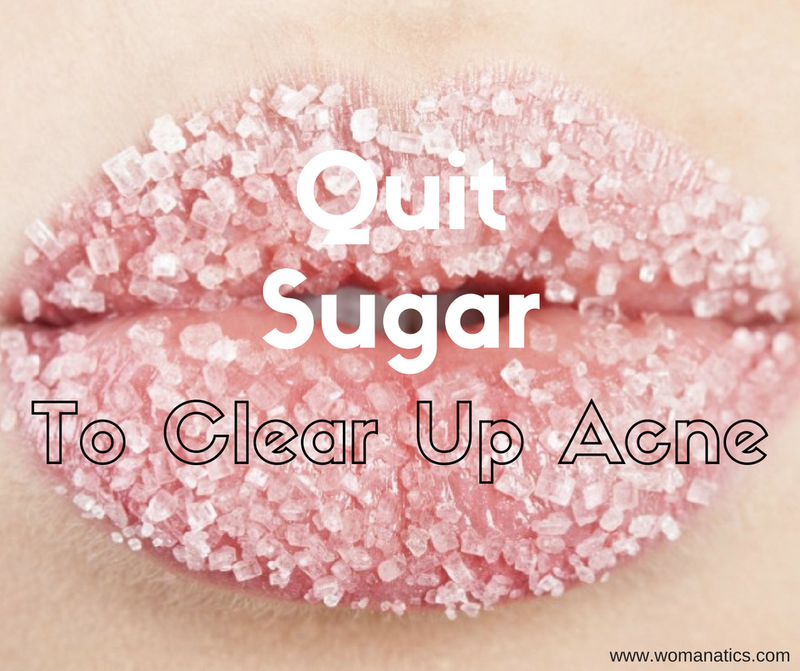 I had read an article about the link between sugar and acne. So I decided to take the first step and stopped eating all sweets and desserts. Quitting sugar was the toughest thing to do as I had a strong sweet tooth. I loved sweets but I made myself realize that I loved a clear skin even more. I stopped eating all forms of artificial sugar. Within 2 weeks my skin cleared up. After 20 years of fighting with acne, I had found its solution. I was thrilled and angry at the same time. Thrilled because I finally knew what was causing my acne and angry because not a single doctor had ever suggested this to me. After spending years and humongous money on dermatologists, I found the cure on my own but I had scars on my face which I would probably have for life. I continued changing my diet to include more vegetables, fruits, whole grains and the improvements I saw in my skin were amazing. The redness disappeared, my skin was smooth and overall I felt healthier. Later on I also stopped using soap on my face and started using oil to clean my face. The itchiness and the tightness that I used to feel is now a thing of the past. My biggest learning from fighting a stubborn acne is that diet has a great impact on your health and your overall well being. Eat junk on a regular basis and it will show up in the way you look and feel. Of course there are times when we are out and we do want to eat that pizza or a burger or chips. But include these in your diet on a regular basis and you will be setting yourself up for problems in the future. I also learnt that people think acne is somehow your fault. Anybody with acne will agree with me that the worst possible comments we get seem to suggest that acne is our fault. If you suffer from acne, remember it is not because of something you are doing. Some people are naturally acne prone and they will break out when exposed to their own specific triggers. Put 2 people in the exact same environment, same diet and same lifestyle but only the person prone to acne will break out. I have personally seen people who eat junk food all the time and still have perfectly clear skin. Of course they are not healthy, but their diet does not trigger acne. As I spent years fighting acne and building up my self esteem at the same time, I wanted to share my knowledge and help other women who suffer from the same problem. I now share what I have learned on my site www.yourbeautychronicles.com along with and tips to keep your skin clear. If you suffer from acne, do visit my blog and sign up to receive a free copy of my ebook. If you know someone who does suffer from acne, feel free to share this article with them. It’s hard to believe that ADHD could be cured just by avoiding sugar for some people. For something that researchers are spending millions of dollars working on, that is a really simple cure. Thanks for the article, I hope someone would find this really helpful. Also, at the beginning of the article, it is mentioned that this post is made “by Surabhi” but the note at the end says that it is written by Anjali Lobo. Am I missing something, or is there a correction to be made? The article is written by Anjali but posted by Surabhi, the admin. Also, she didn’t cure ADHD. She cured her Acne. You seem to know a lot about sugar. 🙂 Then you should be knowing that sugar actually aggravates several skin disorders. I have experienced it myself. mam .I am a boy working as PO in SBI i dnt eat any kind of sweets still i am suffering from this acne since childhood… now i am 23….what should i do? Try aloe vera or maybe see a doctor? Hello ! Thank you for your article. 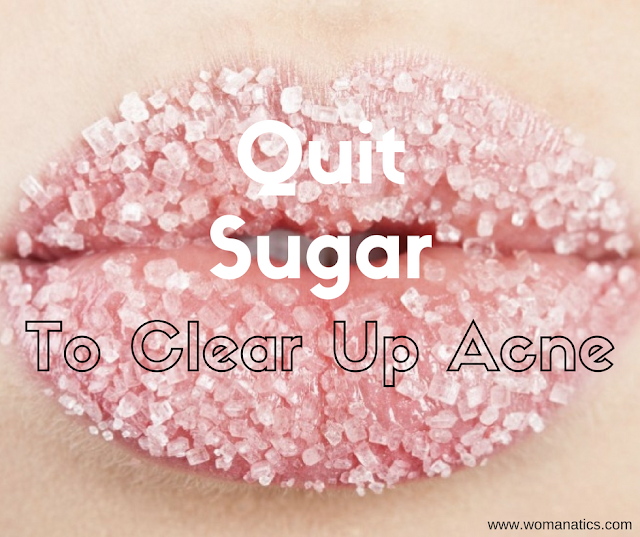 It was the same for me : once I’ve stopped eating sugar, my skin cleared up ! I’m 23 and acné has always been my most painful trigger of low self esteem. Unfortunately, now I see sugar as some evil thing I can’t enjoy without regretting it later…..But when you know the suffering of acne..It is worth it. I’m still struggeling with the redness though…. Any advices ? My skin is extra sensitive and I’m already using gentle natural products on it.